The user assists an ally by boosting the power of that ally’s attack. None Transfer and then hatch the Manaphy Egg. Obtained after completing the Manaphy Mission in the Pokemon Ranger game. 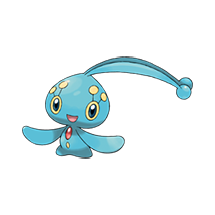 What do think about Manaphy?